If you like to collect wine corks, then this “Do it yourself” (DIY) project is perfect for you. Also, wine lovers can use the corks for a better purpose. Many family members love to accumulate the corks as they love to use them for crafting projects. These wine corks are easy to cut and they look beautiful as they have this rustic look and completely waterproof with soft material that allows you to make a beautiful handmade placemat. With these corks, you can make endless DIY projects, and all that you need to do is just glue the corks together. You can make DIY projects like table runners, coasters, cork boards, trivets floor, and much more. You can make it for yourself or give them as a gift to your near and dear ones. Gluing these corks together will be much easier if you know how to utilize a glue gun, trust me you will become a professional at this project. 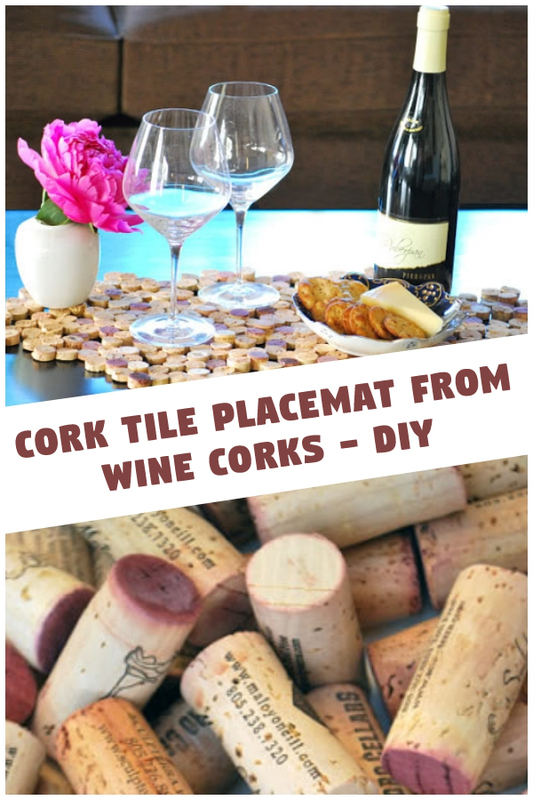 You just follow these simple steps mentioned below to make your stylish and handmade cork placemat. You need around 50-wine corks, but if you don’ have many, then you can collect them from local bars, wine shops, or restaurants. You can as well drink a lot of wine (syc.) or you can also buy them online. Tip: Friends, it is advisable to get many red wine corks so that you can get some outstanding shades of red and your handmade placemat looks amazing. Now, after collecting corks, cut them horizontally and cut about 5 to 6 pieces each. Make sure to cut all pieces in the same size so it will be easy to glue together. In case, your pieces are little different, then don’t worry even they make your placemat look beautiful once you finished. Now, after cutting the pieces, put the cork pieces in a shape that you want and glue them together with glue gun. However, it is advisable to place some cardboard below while gluing the cork pieces together so you can prevent the glue from sticking to the surface. If you forgot to place the cardboard, then use a knife and scrape the glue gently and also you can scrape extra glue gently on the pieces.